These 6 Aura Care sprays have been used by thousands of people around the world and are proven to be very effective in cleansing, protecting and healing processes. 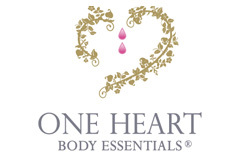 One Heart Sprays combine the power of our pure essential oils with the Languedoc Flower Essences from the South of France. The easy-to-use portable spray bottle is specially designed to nurture and strengthen our aura and Chakra system to enhance our wellbeing. Clears & cleanses unwanted energies such as negative thought forms, environmental pollution, negative emotions, etc. Helps restore mental clarity & overall balance by dispelling confusion. Wonderful for cleansing rooms, offices & healing spaces in between clients. Heals auric damage due to emotional wounds, drug abuse, and surgery. Expels negative & trapped energies in the aura. Great to assist in any healing process. Speeds recovery from surgery & any illness. Creates a protective shield around us preventing us from picking up negative energies. Very helpful when we are feeling vulnerable or in a weakened state, mentally, emotionally or physically. Protects us whenever we are faced with hostile environments or individuals. By spraying each of the three sprays in the order listed 7 times above your head & allowing the mist to cascade over your body, front & back, you will be giving yourself a complete aura care treatment. You can also clear room environments, and start and end client treatments. Recommended to use twice daily for optimal results or as often as desired in specific needed circumstances. Be touched by an angel! Carol Asher writes: “While making this blend, I literally felt the presence of angle wings/energies around me and touching me. This is another exquisite blend that vibrates with the sweetness and love of the angels. This is used for calling forth the presence and blessings of your guardian angels. Children and adults alike love this blend. Experience Heaven on Earth! The energies of rose and jasmine essential oils, along with “Three Roses” Flower essence from France gives blessings to your spirit and soul on all your new journeys in life. For all new beginnings (initiations) in life, whether spiritual, mental, emotional, relationship or physical. May be used for all initiation and other sacred ceremonies and is excellent for Fung Shui clearing spaces and for Reiki Master Teacher’s initiations. Our most popular blend! Ideal for helping you achieve the vibration most conducive to deep insightful meditation. The blend helps transform the experience of your inner and outer space and prepares you to open up into alignment with your mantra or deep and peaceful silence when the Divine may be perceived.